Amphoto's guide, Your Baby in Pictures: The New Parents' Guide to Photographing Your Baby's First Year teaches you how to go beyond the snapshot. Document your baby's first year with photographs that will garner smiles and trigger memories across a life time. 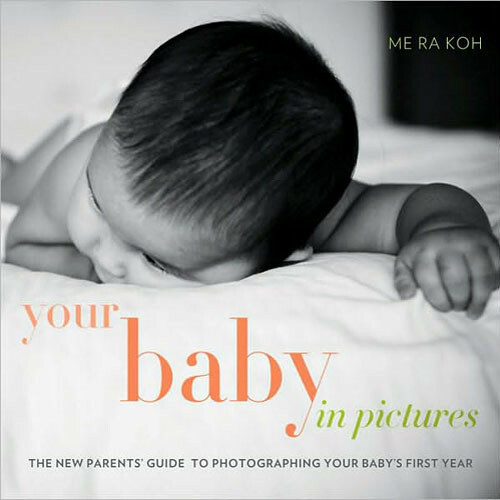 Mother and photographer Me Ra Koh teaches you how to make outstanding photos of your child with her 40 "photo recipes", illustrated with inspiring photos. Take photographs everyone will want to see, time and time again, with some help from this friendly and easy-to-understand book. Box Dimensions (LxWxH) 8.6 x 8.5 x 0.7"